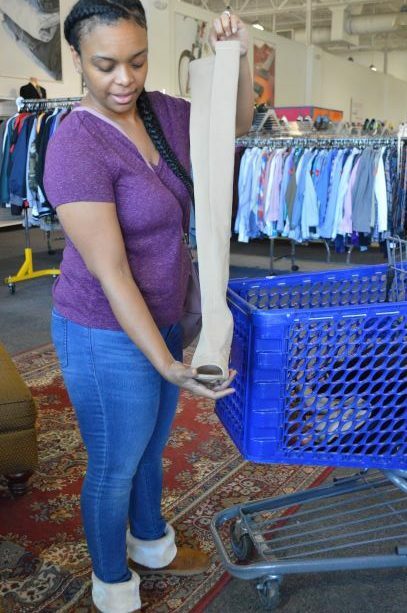 There was some serious March madness at the Goodwill Bowie, MD store this past weekend. 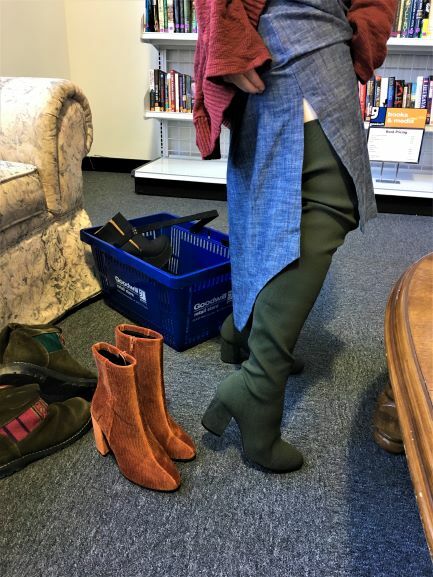 And I’m not talking basketball – I mean the incredible Goodwill slam dunks that were scored at our Monthly Shopping Meetup! 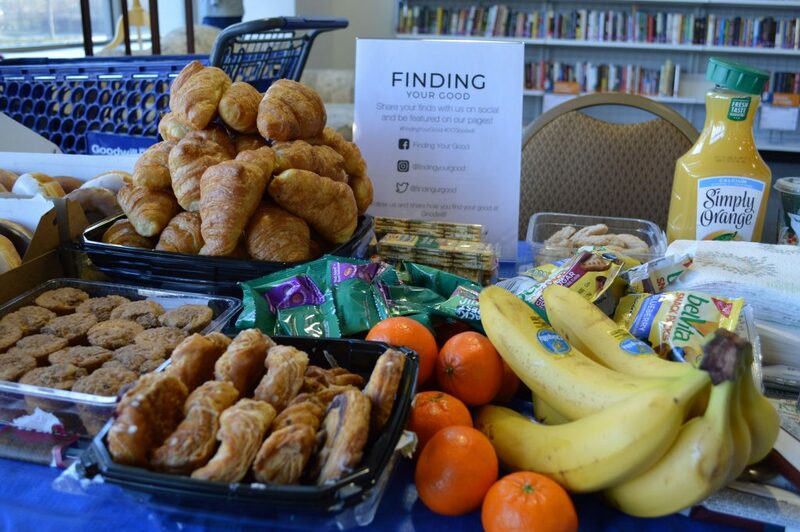 On Saturday, the DC Goodwill Meetup Shopping crew headed to Bowie for a morning of shopping, chatting and breakfast treats. Attendees of this event woke up extra early ( 9 AM on a Saturday, oh my!) 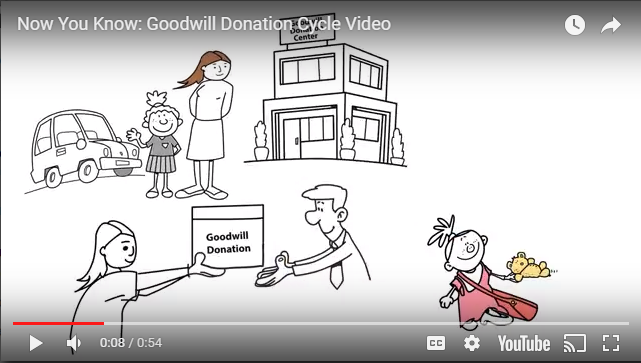 to have the exclusive opportunity to peruse Goodwill an hour before the doors open at 10 AM to the public. This was our biggest Meetup yet. I feel like this is something I keep saying in every recap post, however, each month’s event is just getting bigger, better and more exciting! 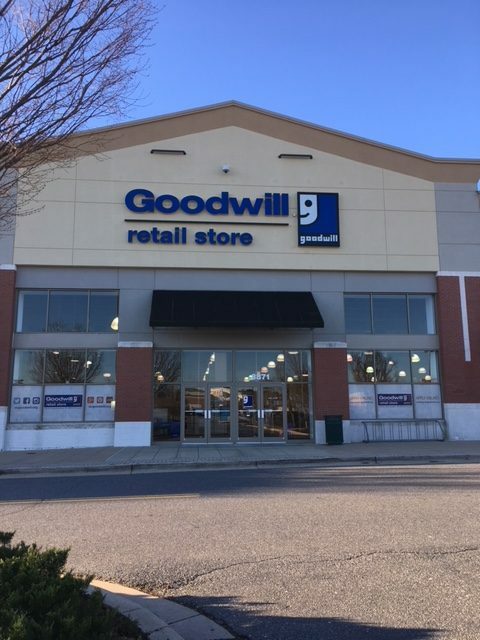 With over 60 shoppers in attendance – I have never seen so many Goodwill find hauls in one store, within one hour’s time. Before the event started, I took a moment to set up quite the load of breakfast treats – which helped provide energy to attendees while they shop. 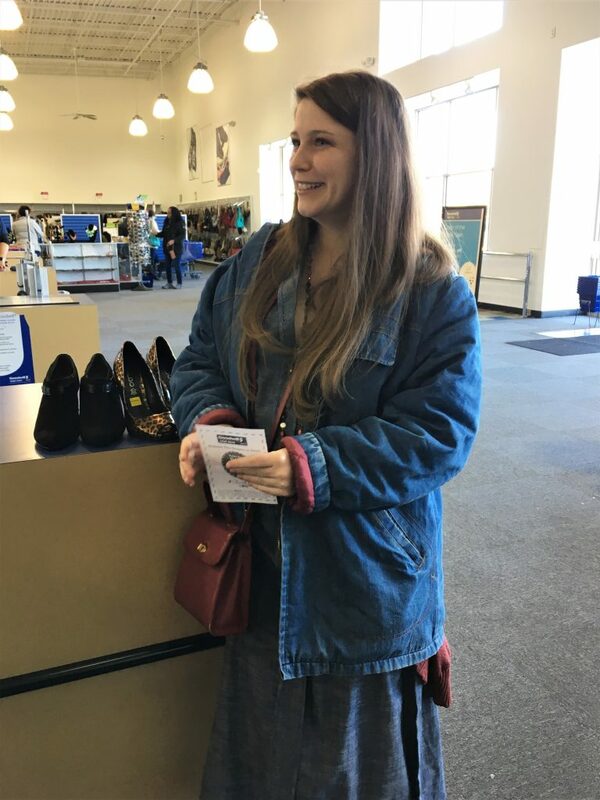 I also snapped my usual Goodwill outfit selfie, comprised of many Goodwill vintage finds! 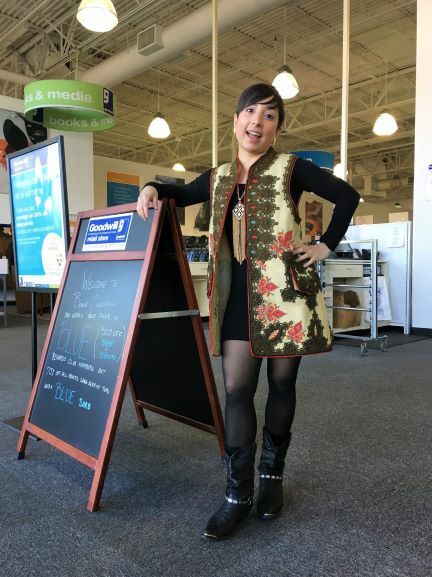 This vest. Is. Insane. And one of my greatest finds to-date! Excited for the event to begin! After setting up, we opened the doors to shop all morning long! As you see, we had quite the attendance at this month’s spring festivity, filled with new and familiar faces. Throughout the morning, carts upon carts were filled to the brim. 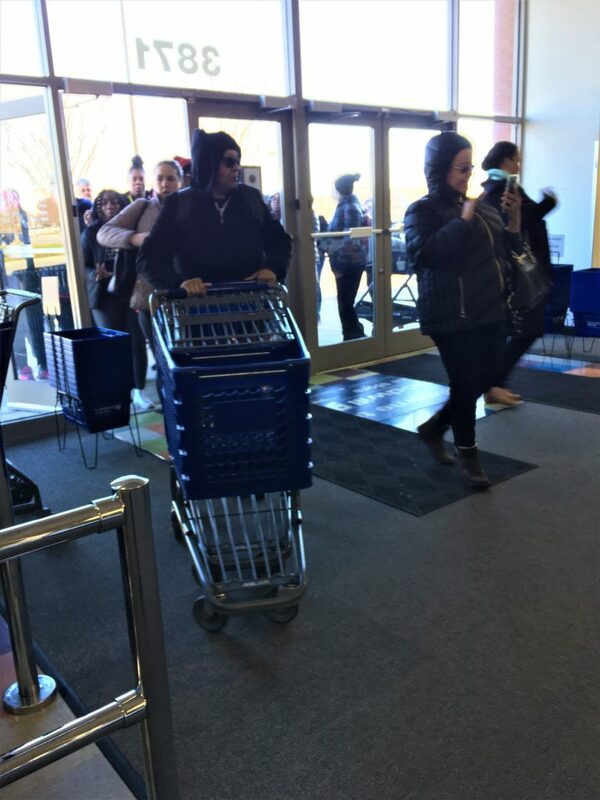 In fact, by 9:30 AM, all Goodwill shopping carts were being used! 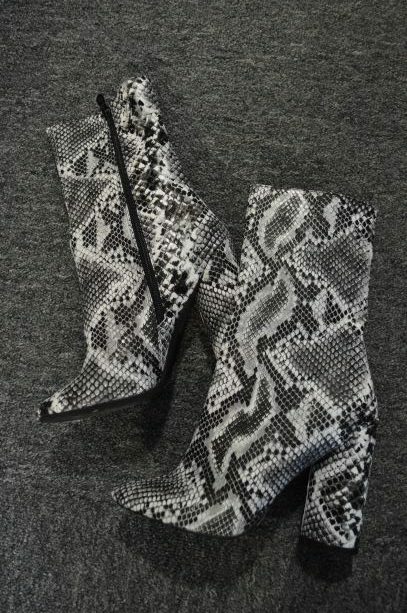 Marikia, a friend I’ve made from these Meetups found some Rihanna-style boots that will look great within an edgy spring look! For under $10, I’m SO glad these came home with her. Mallory arriving at the event – I’m so happy she came out! She took home these beauties as well! Rihanna style was strong at this month’s Meetup. I myself kept it light with shopping, since I’m still adjusting from my recent move. 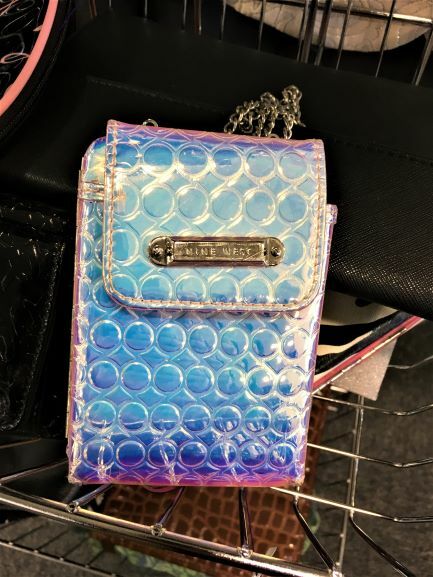 I did, however, take home this chain wristlet to use while I’m out and about taking photos for work and play. This like-new Nine West accessory was $6. The home goods and furniture section was poppin’! 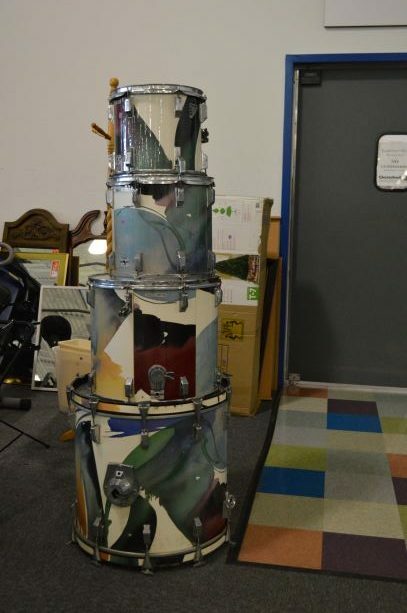 Here are some fun finds that I saw while walking through the store – including this GORGEOUS drum kit. 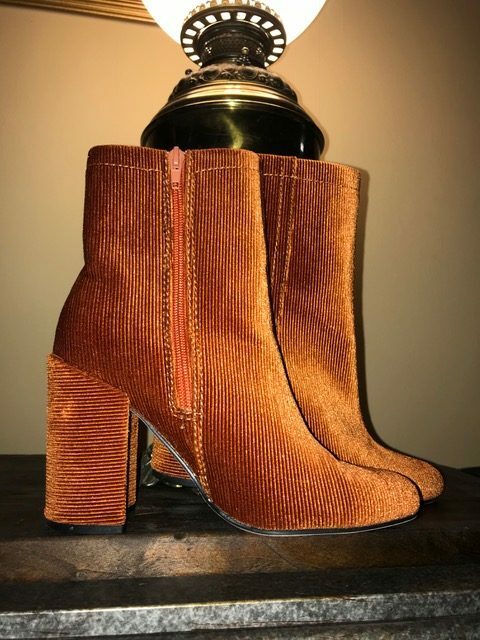 It’s no secret that Goodwill is THE spot to score shoes for under $10 a pair. This case was once again proven when these kicks were spotted throughout the store. 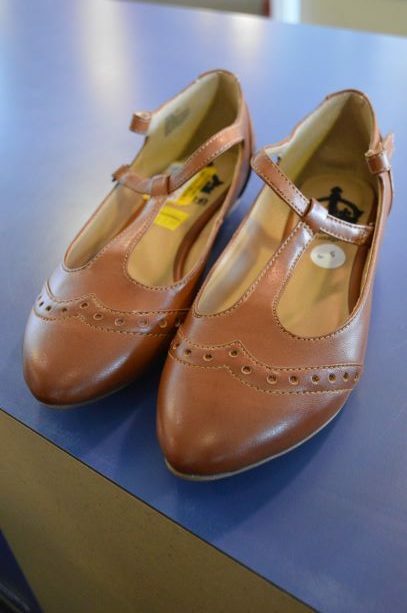 The brown pair by Crown Vintage was brand new! As always, Meetup attendees left with carts full of treasures and name brand finds. Literally, every single attendee left with at least one big bag of items. 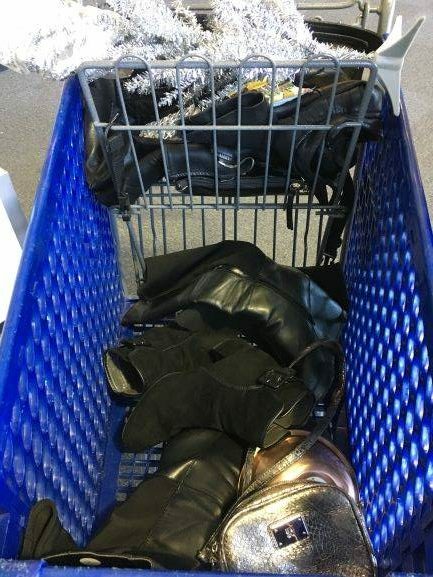 Miranda, a new Meetup guest, found a whole cart of black shoes to augment her wardrobe! 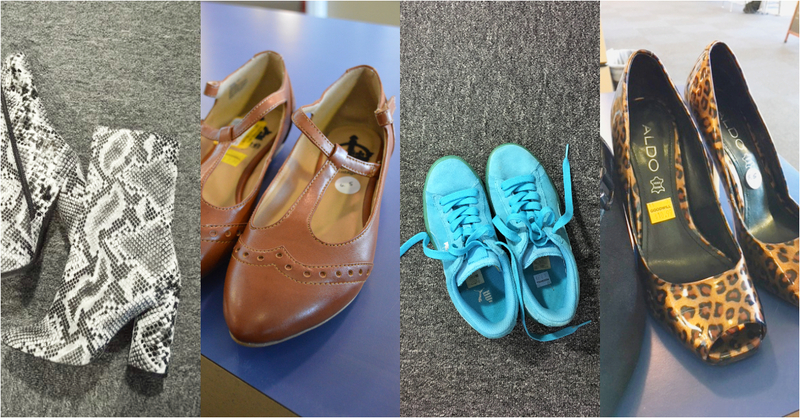 Boots, heels, flats – you name the style, she found them! 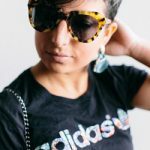 It’s always such a pleasure to meet like-minded individuals who love fashion, DIY, home decor and know how to shop smart. There’s nothing better than shopping for a great cause that provides job opportunities in my community.